Although Mum has left this world it seems the book lives on. 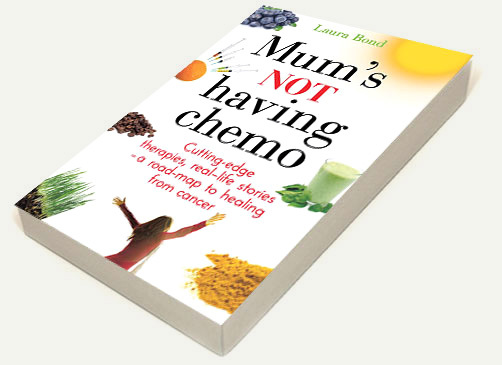 I was recently asked to write a new foreword ahead of the Danish publication of Mum’s Not Having Chemo, explaining what happened. I thought I would share it with you here. ‘Some endings are happier, some not so happy, but it’s not just the happiness percentage that matters. It’s the music of it. Most people’s lives don’t have enough music. I was lucky; my life was a rock opera.’ Billy, posthumously in ‘The Afterlife of Billy Fingers’ by Annie Kagan. I hope through reading these pages people will realise they are not alone. I hope it will also take away some of their fear around cancer, as well as their fear of dying. Some believe that our fate is written in our own personal edition of the ‘book of life’. If that’s the case, why bother trying to live longer, to overcome disease? However, I believe there’s a lot of freedom within our predetermined destiny. There may be a rough road map, but how you choose to travel is up to you. Do you want to take the scenic route? Travel in a vehicle with a tired old engine and a broken windscreen, or a Ferrari with your favourite radio station playing? My mother enjoyed the brilliance of her life while she was on this earth, right up until a few weeks before her death. When she was diagnosed with ovarian and uterine cancer six years ago, in March 2011, the outlook was bleak. Less than 5 per cent of patients live beyond five years. Yet Mum managed to beat the odds; within a matter of months she was free from ovarian and uterine cancer according to blood tests. It was only when she was diagnosed with pancreatic cancer in November 2013 – completely unrelated to the first cancer – that the challenge was ratcheted up. Pancreatic cancer has the highest mortality rate of all major cancers; 74 per cent of patients die within the first year of diagnosis and the average survival time for advanced pancreatic cancer is three months. Mum lived for three years with pancreatic cancer and, for the most part, in abundant health. 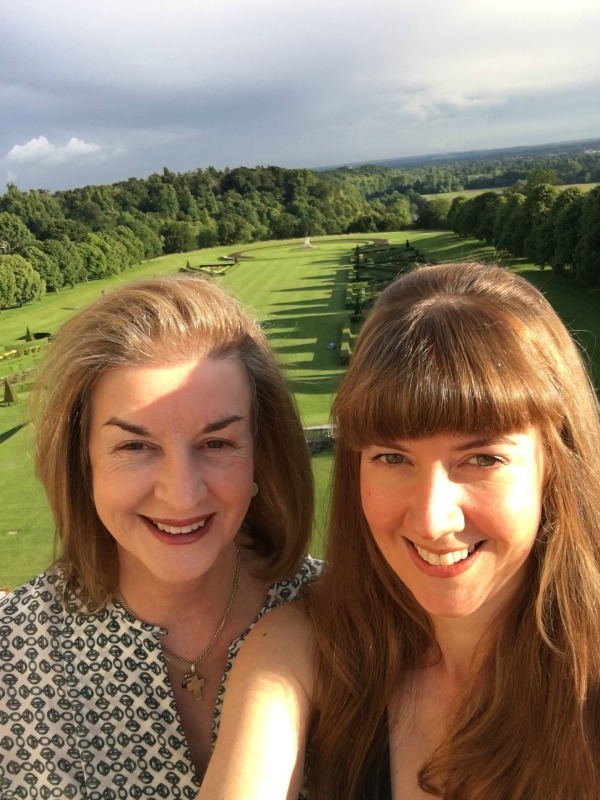 I have a video of mum skipping down the steps to a yoga class in Austria, hiking in the northern part of Norway with our family, enjoying a decadent three course meal with me in England – merely months before she passed away. There are no guarantees when it comes to cancer, whatever treatment you choose. The goal of this book is not to advise people, but rather to bring an awareness to the many healing options out there, so patients can make a decision that feels right for them. Mum certainly had no regrets about the path she chose. By diving into the world of holistic health she connected with so many like minded souls, and forged new friendships across the globe. She corresponded constantly with Nicola and Vincent (see Chapter 12) who shared her fascination with ‘higher realms’ and Rachel became like a third daughter. While Rachel died a few weeks before Mum, Vincent and Nicola are both alive and thriving. ‘Enzymes selectively concentrate around the cancer cells and chew up the cell membranes and the cancer cells basically explode.’ You can read more about his protocol in Chapters 4 and 5. Dr. Gonzales had phenomenal success with a wide range of cancers, including pancreatic cancer. One patient came to him in 1991 with stage four pancreatic cancer, and lived a further 14 years. He died, following a car accident. ‘What was the point of all that?’ was the general sentiment. However, in her death Mum has given us all a greater compassion and empathy, as well as a renewed appreciation for how precious our health is. If you are currently suffering from cancer, I hope this book will provide you with inspiration and comfort as well as tools to help you live longer and better – whichever path you choose. If you are the sister/brother/daughter/son of someone suffering from cancer then you have a head start. I know the wisdom in these pages can help reduce your risk of cancer and help your body sing at a cellular level. As painful as it is to contemplate life without my mother, her generous and quirky spirit lives on in these pages; and in the hearts and minds of the thousands of people she has helped. She told my sister in the last days that she will be watching over us always. In her life she never hesitated to help someone in need. While she can no longer provide assistance via email, I have no doubt her spirit will be ready to send you strength, simply dial up the divine line and ask for Gemma. 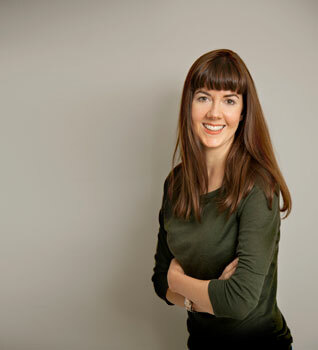 Laura Bond is a journalist, author and health coach. She specialises in helping clients beat stress, reduce their toxic load and prepare their bodies for babies. To find out more, click here.